Moon in Sagittarius until Thursday, May 3, 2018 at 10:06 PM EDT when the Moon moves into Capricorn. Today there are absolutely no aspects occurring exact in the skies on this date. This typically occurs about once a month, although it has not occurred since January 12, 2018. 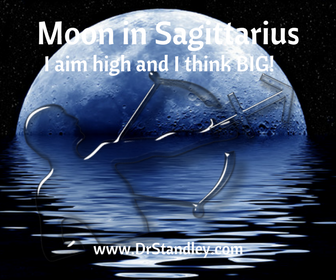 The Moon was in Sagittarius on that date as well. And the time before that was back on Thursday, September 7, 2017 when the Moon was in Aries. So for the last eight (8) months, what is 'typical' for there to be 'at least' one day out of the month where there are absolutely no aspects has not been typical at all. And we won't see another day of 'no aspects' until November 28, 2018 when the Moon will be in Leo. Is anyone else seeing a connection here? Quick! Before you read anything further, re-read the beginning of this paragraph and look for a connection. You will see the Moon in Sagittarius, the Moon in Aries and the Moon in Leo on dates where there were/are absolutely no aspects occurring exact, but you see the Moon occurs in a fire sign on all of the dates named. Perhaps we need a bit of fire lit under our rear-ends on a day like today. Keep in mind all of the other aspects surrounding this date are indeed still occurring as their 'orb of influence' is seen in 'applying degrees' and 'separating degrees'. As we encounter this day of 'no exact aspects', it is days like this when it may feel as if you are waiting for the other shoe to drop. It's like the energy is clapping off rhythm, marching out of time, dancing out of sync or singing out of tune. It's just weird and strange energy as we wait . . for something . . like the other shoe to drop, but it never does. So what many of us will do is just create our own drama (aspect). No kidding! Watch to see if you are more attracted to gossip, unfriendly chatter or TV shows that depict other people's drama, problems, issues and misfit creations. Personally, I don't know how anyone can stand to watch shows like this because it really is a window into your own soul and what you are attracted to in your Life. It's like when people say that smoking relaxes them. NO IT DOESN'T because it speeds up the heart rate. Smoking does anything but relax, it feeds into the drama, just like misfit TV shows. So watch yourself today closely to see just how much you are attracted to creating drama in your Life where it was not. The Moon in Sagittarius breathes a kind, jovial and cheery energy into the air that makes us want to be around those who are happy, positive and optimistic. As a fire sign Sagittarian's do enjoy a hefty share of action. Make certain you draw yourself to this kind of energy instead of the opposite. Perhaps God keeps dropping these 'no aspect' days when the Moon is in a fire sign to see how we will act and react when we are left on our own. It's like the parents go away for the weekend or out for the night. When the cat's away the mice will play, or will you do your Homework, with a capital 'H', meaning your spiritual 'Homework'. Can you be trusted to do the right thing unsupervised? As a side note - I have not seen a difference at all in my stats as far as the 'Quickie Daily Horoscopes' pages are concerned for each Sun Sign. So I'm wondering how much these 'Quickie Daily Horoscopes' are being seen. I have not seen a run on shares with them either. These 'Quickie Daily Horoscopes' are on your main horoscope landing page. If you look at the teal-colored-drop-down-menu above, which is on each Astrology page, you will see this teal-colored-drop-down-menu. 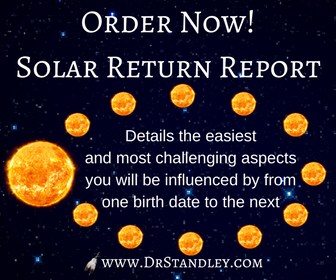 Where it says, 'Sun Sign Horoscopes' that is your main page for your Sun Sign where you will see the 'Quickie Daily Horoscopes' and it is this page that is the 'Daily Extended Horoscope'. I just want to make certain these pages are being seen and utilized because it has been just over two (2) weeks since I brought back the Daily Horoscopes for each Sun Sign. Please let me know in shares and clicks that these pages are being utilized, if not it would not be worth my time to continue them. Thank you! Download the 'Moon Moves into Sagittarius' chart wheel here! The Moon moves into Sagittarius at 11:19 AM EDT until Thursday, May 3, 2018 at 10:06 PM EDT when the Moon moves into Capricorn.